The venue in Victoria is yet to be decided. If sufficient entries are received to constitute BOTH of the 5 year sub-sets within a 10 year group, races will be run in 5 year brackets and medals awarded accordingly. WA has a recognised Guppy class, but to encourage further Junior participation the race committee would like to create a Junior event which is open to all junior ages, and all classes of boats. An ‘Entry Change / Scratch’ form must be completed for any changes to entries after the team leaders meeting. This formed is to be signed by all paddlers and/or team leaders requesting the change. 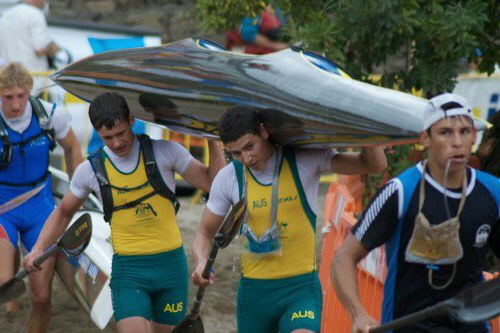 The ICF Board has approved two rules changes for Canoe Marathon that will come into effect as of 1 January 2019. The role of Deputy Chief Official has been introduced. The Deputy Chief Official replaces the Safety Officer on the Competition Committee. The role of the Safety Officer has not been removed. The role of the Deputy Chief Official is to assist the Chief Official and handle the administrative tasks of the competition. Competitors who have been lapped will end their race at the most suitable time and location and as soon as possible after the leader has passed the last portage. The normal location for ending a lapped paddlers race will be at the portage. They will be recorded in the position they are placed at that point in the race. This rule applies to World Championships and World Cups.